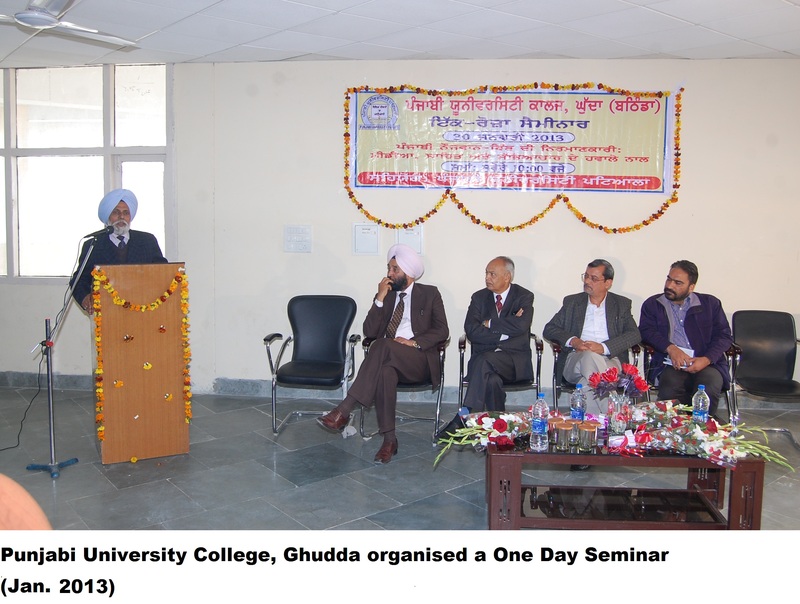 University College, Ghudda is situated in the village Ghudda 25 km away from Bathinda on Badal-Bathinda Road. 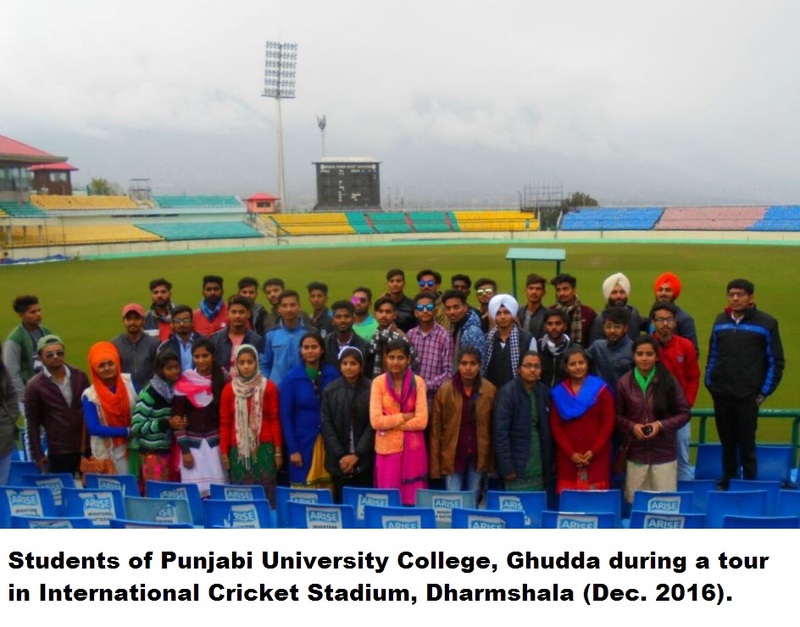 It is one of the constituent college affiliated to Punjabi University, Patiala under the 11th planning scheme of UGC(University Grants Commision). 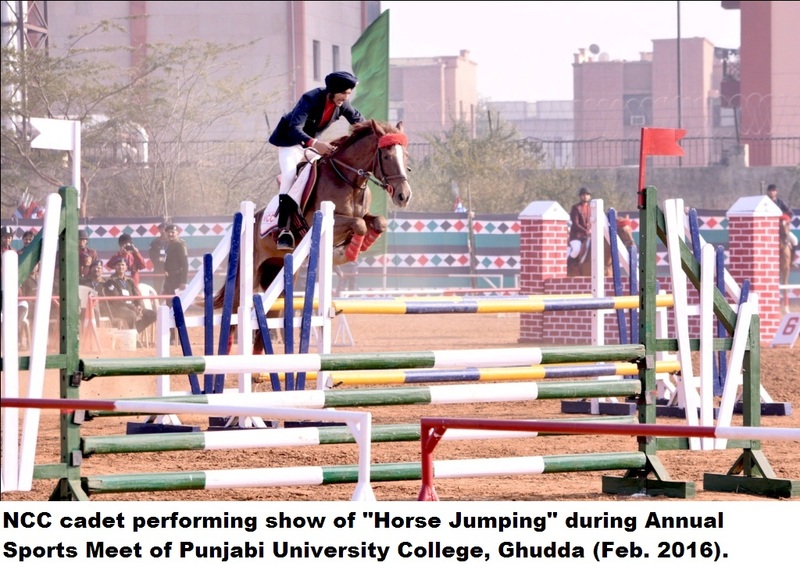 It is located in the vicinity of Central University of Punjab and Sports School. The College covers the area of 14 acres. The College is priviledged with three academic blocks, one administration block, sports stadium, a big library, open air theatre, lush green lawns, canteen and a hostel for girls. All these facilities help to raise the standard of the college. 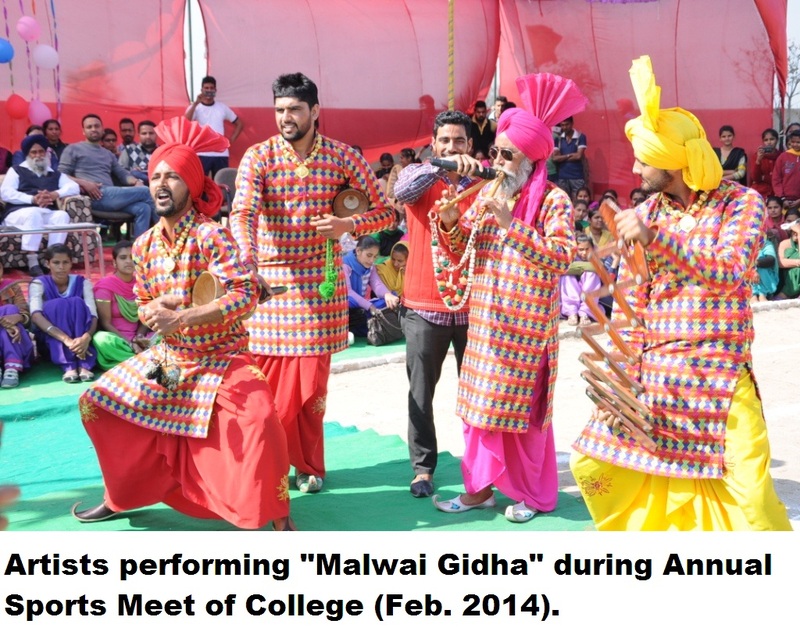 The College is well linked by road with Bathinda city and nearby villages. With special permission PRTC runs two buses especially for the students on this road. The College is working leaps and bounds to improve these services further. The initial session of the College started in 2011. In the college students are enrolled in B.A., B.Com. (Professional), B.Sc. (Non-Medical), B.C.A., and P.G.D.C.A. streams. The College is bound to involve students in co-curricular activities like Seminars, Conferences, Sports meets, Youth festivals. University College is equipped with qualified and competent staff in various streams. Teachers keep on participating in Seminars and Conferences in order to update themselves. There are many articles and research papers to the credit of the staff. 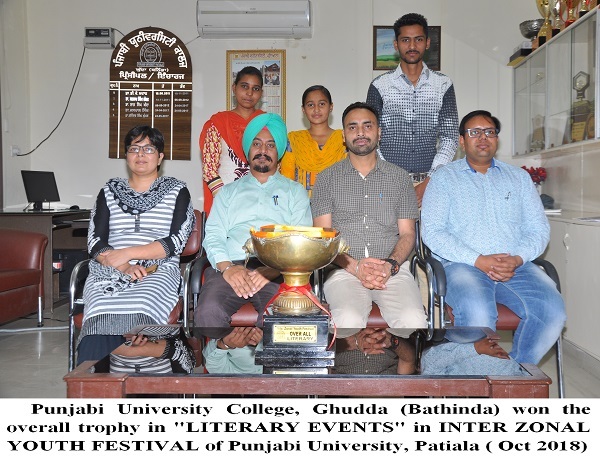 Incharge of the college is Dr. Ravinder Singh (Assistant Professor, Dept. of Punjabi). I strongly believe that health and education are the basic essentials of any living society. It is the utmost duty of the government to make these essentials accessible to all, free of cost. Education plays a very significant role in the holistic development of one’s personality. An uneducated person remains ignorant and unaware of the concept of “healthy body and healthy living”. Education breaks this shield of ignorance and unawareness and is given preference everywhere. It is quite essential to have a widespread of free education, accessible to all, around the globe. 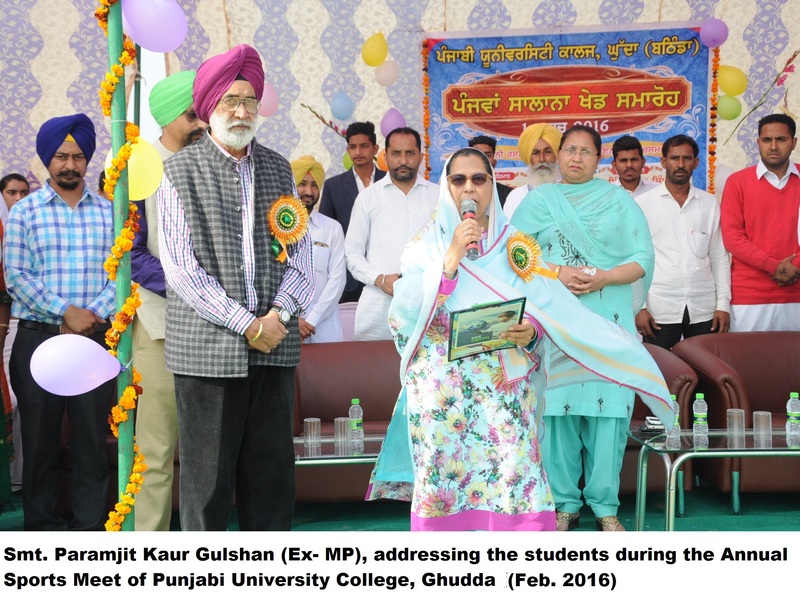 University College, Ghudda got established in the rural hub of Bathinda with the aim of making quality education, accessible to one and all. The purpose of such college was to make an affordable and cost-effective access to education in comparison to exorbitant fees charged by the private institutes. 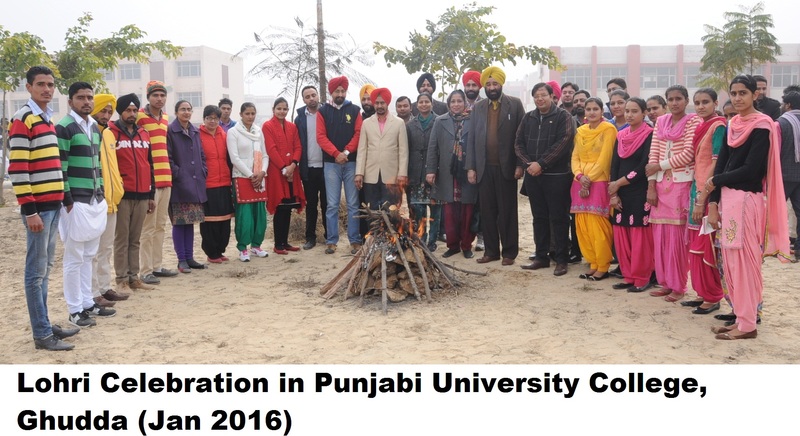 The college truly justifies the motto of Punjabi University is “vidya vichari ta paropkari” on account of its selfless zeal of prospering and propagating quality education for a better nation. The college is no less than a temple, since it makes the sacred knowledge reach its disciplined disciples. I am always available for the students and to facilitate for their disciplined grooming. The students can freely resolve their queries with me. Once again I welcome the students to their new phase of life. The college has a spacious and well ventilated library. A special attention is given to equip it with latest books, newspapers and periodicals. The college and university authorities are planning to modernize and update the library in future. There is also a large reading hall for the students. Asst. 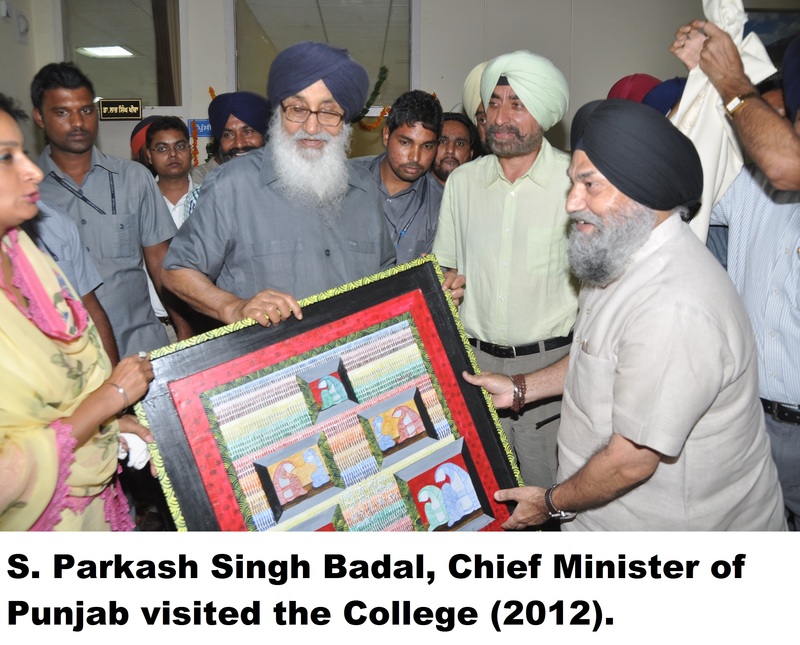 Prof. Balwinder Singh is the incharge of the college library. 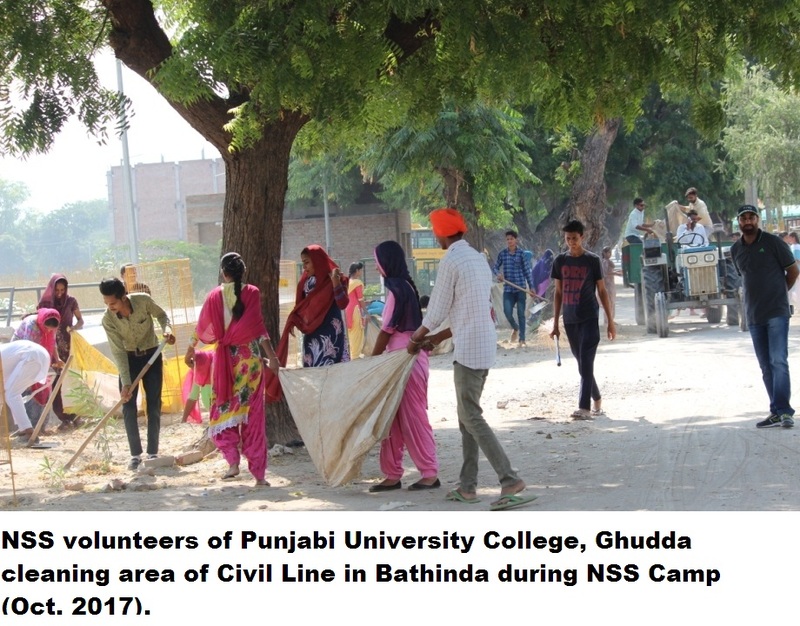 The NSS wing of the college has been running successfully from the last six years. The college has at present one and half unit of boys and girls for NSS activities. 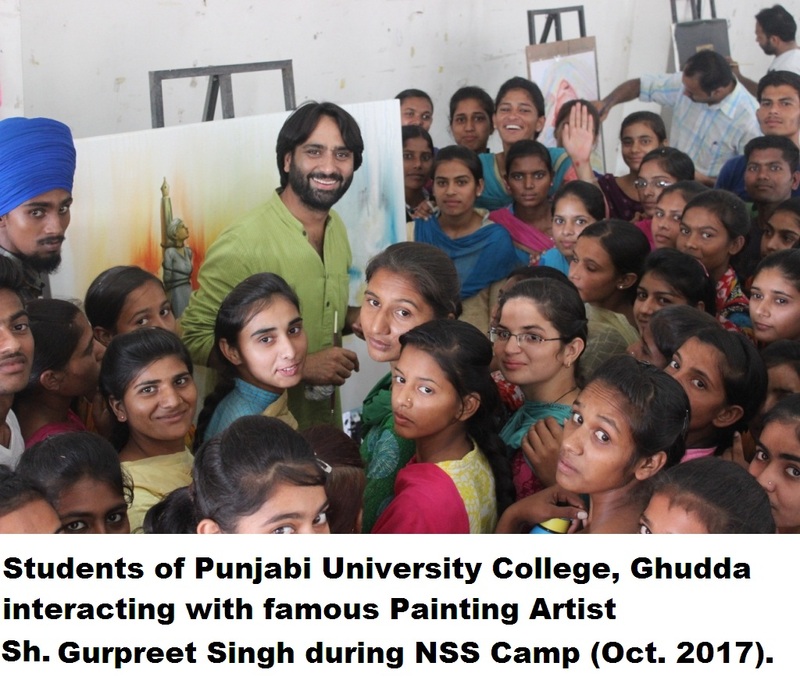 The NSS wing organizes various camps and events for the overall development of the students. The "Red Ribbon Club", has been established by the NSS wing of the college. The Club aim is to spread awareness for social evils like AIDS and drug addiction. Asst. Prof. Sumit Garg is NSS programme officer and incharge of the NSS activities of the college. 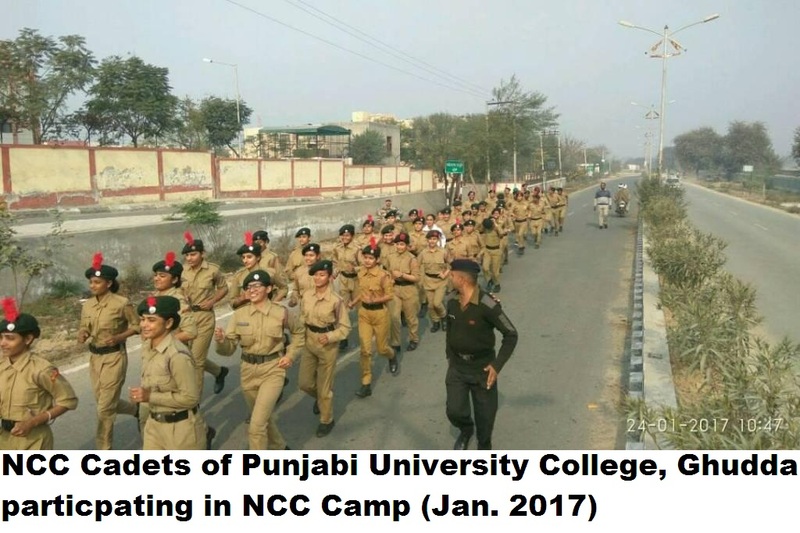 The college has at present one unit of NCC. This unit comprises of 50 cadets. The cadets are given training under the able guidance of army personnel. It is note worthy that there are three seats reserved for the college cadets in the Republic Day ceremony. Apart from the basic training the cadets are taught equestrian techniques also. The incharge of the NCC unit of the college is Asst. Prof. Balwinder Singh. For the holistic development and constructive working of the college, the "Parents Teacher Association" (PTA) has been established in the college. The general body members of the PTA comprises of students, parents and teachers. The basic aim of the PTA is to develop healthy and trust worthy relationship between students, teachers and parents. The aim of the association is to resolve the basic problems of the students and help the needy students financially to make self reliant. The secretary of PTA for the present session is Dr. Jaspal Singh. The college has been enlisted in one 2(f) and 12(B) list of UGC act of 1956. This makes the college eligible to receive the direct grant for its development works from University Grants Commission. UGC cell has been established in the college. The Co-ordinator of this cell is Asst. 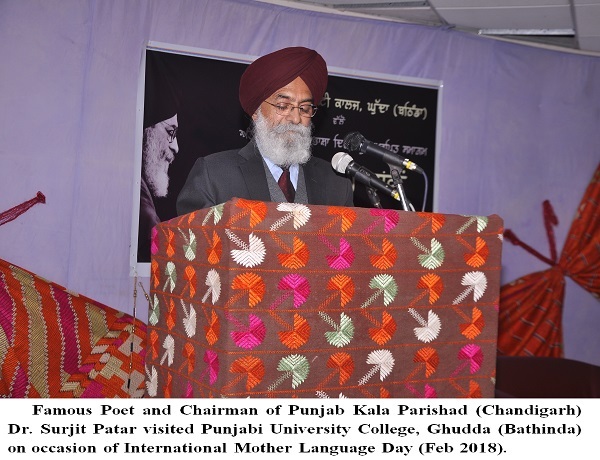 Prof. Gurbakhsis Singh. 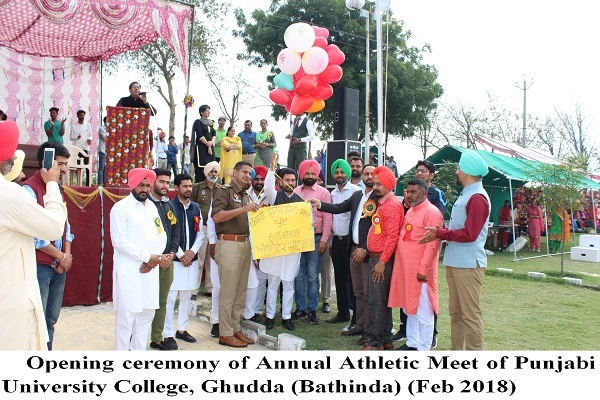 Considering the keen interest of the students in the sports activities, the college provides the facilities for various games in the college campus. The college ground is well maintained and is a centre of attraction. 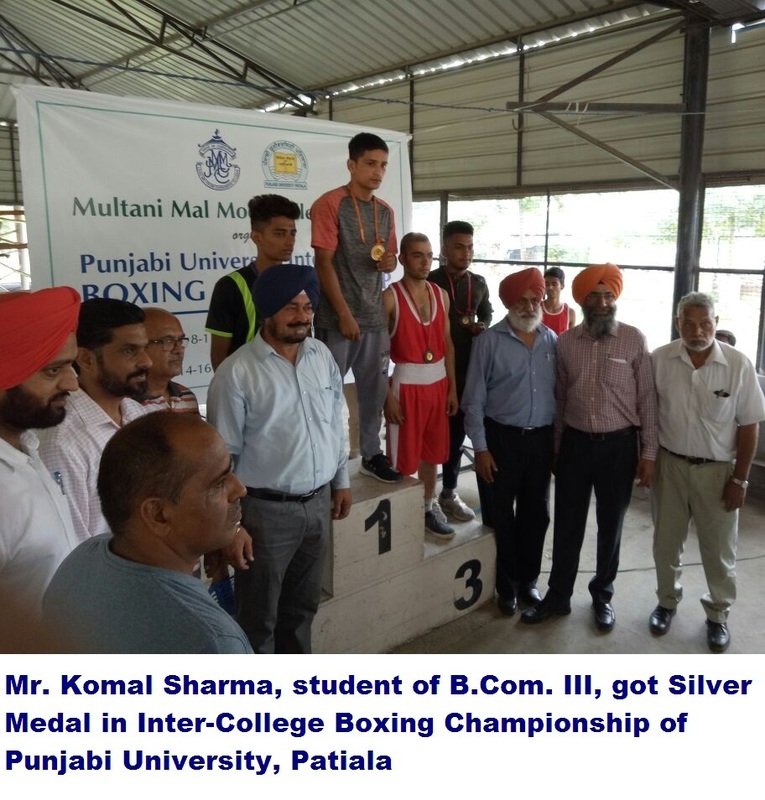 The college students have acclaimed laurels at the state and national level tournaments in the games like Cricket, Volleyball, Athletics, Kabaddi, Riffle Shooting, Boxing, Basketball etc. Asst. 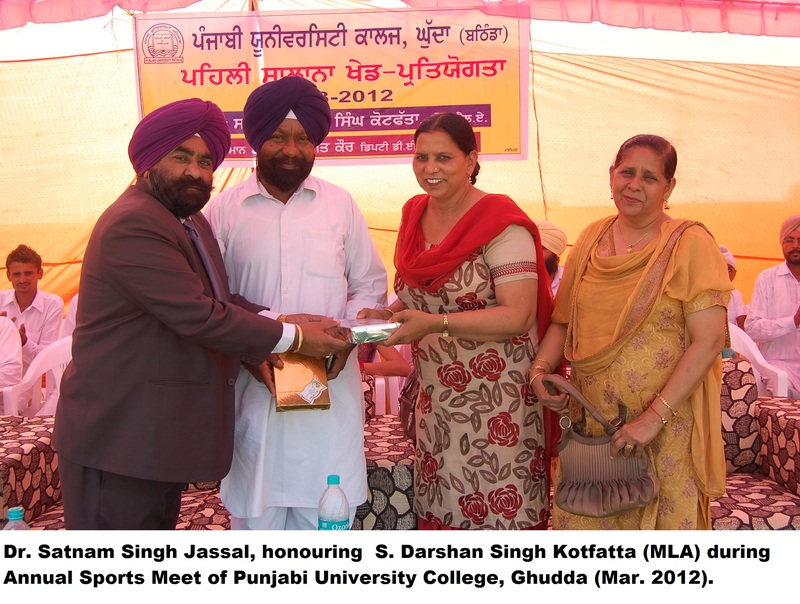 Prof. Harpreet Singh is looking after the sports events of the college. The college has established scholarship cell for disbursing scholarships under the centre and state scholarships scheme for the students. Asst. Prof. Kamaljit Singh is incharge of the cell. The "Youth Development Department" of the college has been looking after the youth affairs from the last six years. The Convenor of this department is Dr. Ravinder Singh. In the session 2016-17, many students have brought laurels to the college. 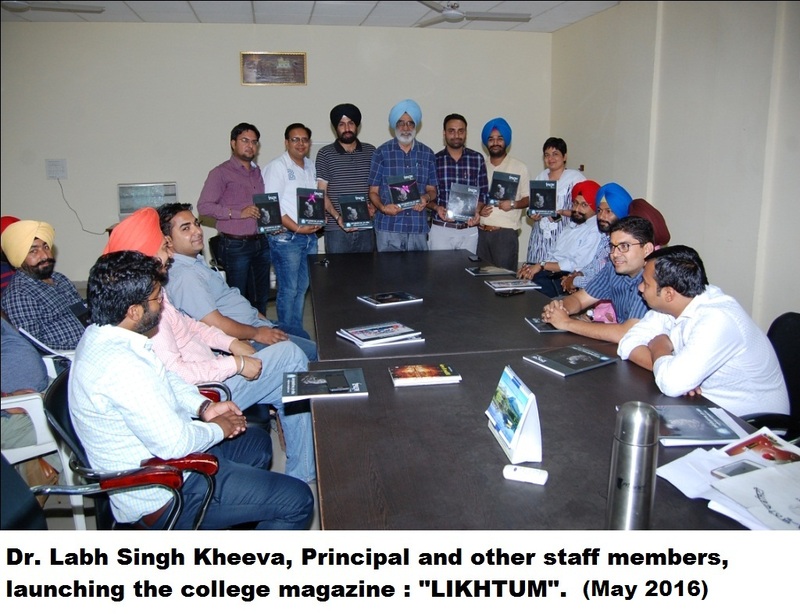 The college magazine with the title "Likhtum" launched in the year 2016. the second issue of the magazine is now under publication. 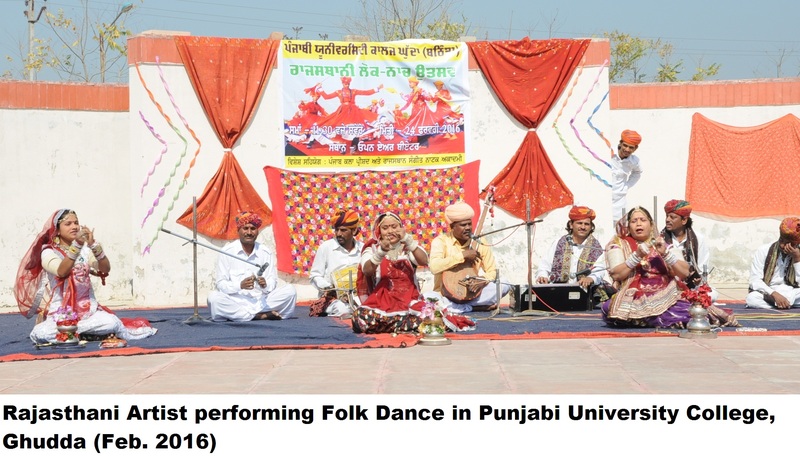 The college has a literary society for grooming the intellectual and artistic skills of the students and also refine their socio-cultural outlook. The working committee members of the literary society are elected out of the students unanimously. The society actively organizes various literary events like poetry recitation, debate declamation etc. 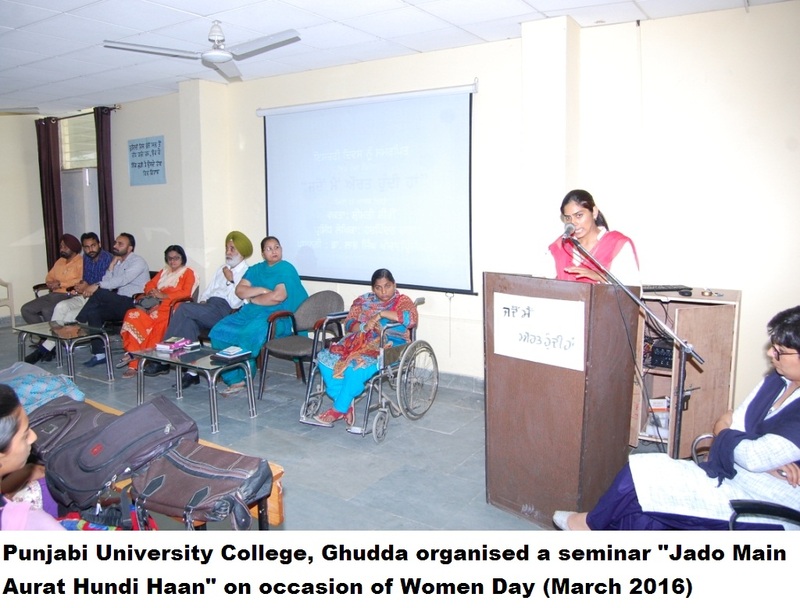 In the last session the Punjabi literary society has constitueted a book club for students. In the book club the students are taught, the art of versification. Apart from that the students also showsase their literary creations. 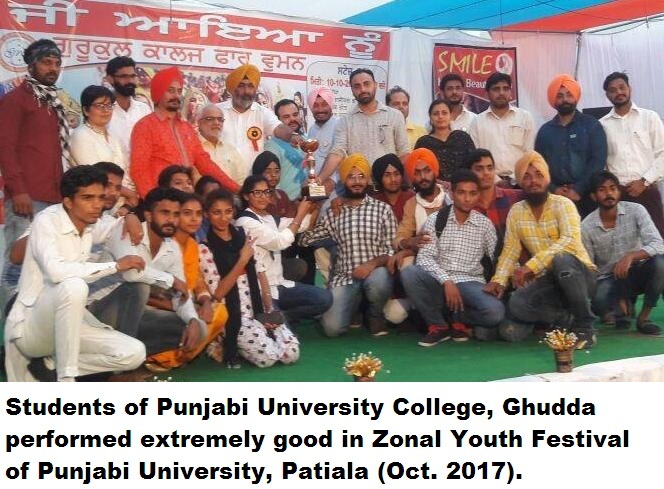 A film with the title "Nil Battey Sannata" was screened for the students of the Punjabi literary society. The incharge of the society is Dr. Neetu Arora. The P.R.T.C. buses ply from Bathinda to college campus exclusively for the students. The transportation matters and sanctioning of bus passes are under the supervision of Asst. Prof. Manish Goyal. The college has a well equipped girl hostel with a capacity to accomodate 96 students. An important feature of the institute is its well laid and lush green lawns. Motto of the College is Clean and Green Campus. The institute has N.S.S. unit. Every year almost one hundred volunteers attend annual seven day camp. 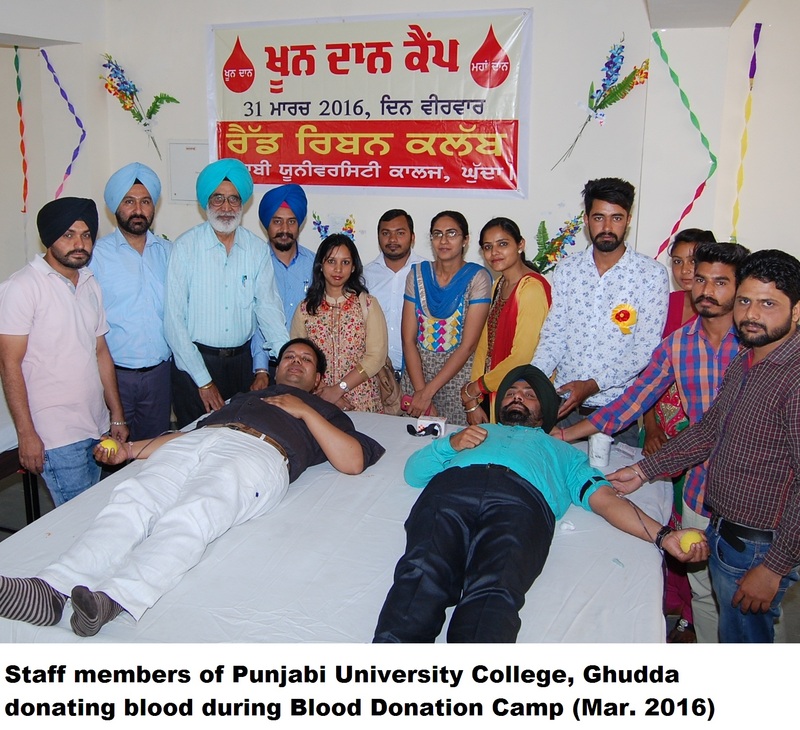 Moreover this unit organises blood donation camps from time to time to develop the feeling of doing something for social causes among the volunteers. NCC wing (R & V) of the college comprises about 50 cadets. 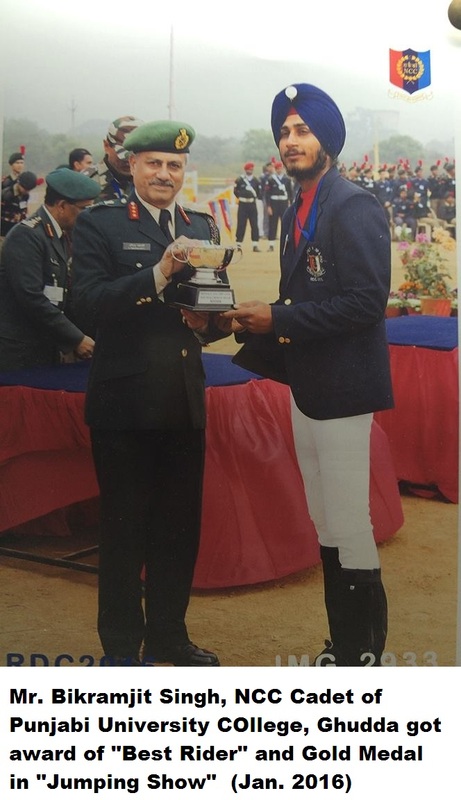 Cadets have made extraordinary achievements in different categories of horse riding like Gold medal in overall category, best rider, Bronze medal in dressage etc for three consecutive sessions 2014-15, 2015-16, 2016-17. 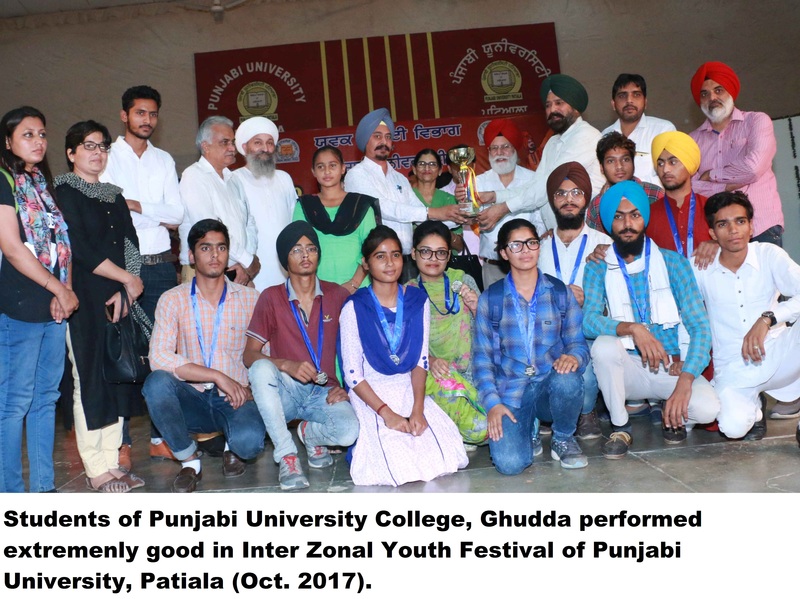 Every year college participates in Zonal Youth Festival organised by Youth Welfare Department of Punjabi University, Patiala. The institute has made remarkable achievements in literary items, Fine Arts and Theatrical items for the consecutive years from session 2014-17. 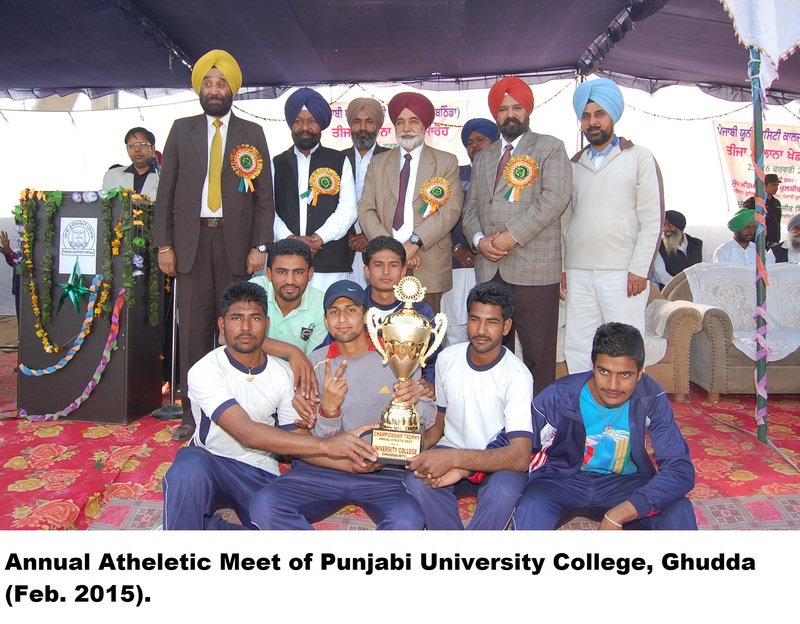 The institute promotes games and sports on priority basis. Participants won Silver medal in athletics, Gold medal in Pistol and Rifle shooting and Gold in overall inter college championship (2014-15). Bronze medal in Boxing (2015-16) and Silver medal in Boxing (2016-17). The college has a wide range of facilities & resources which support a student throughout his/her academic career at the college and make a marked difference in the overall student’s experience. We recognise that an ideal integrated learning environment comprises various aspects that extends beyond the classroom to enable each student realise his/her academic-potential to the fullest. The college complex comprises three academic blocks (Arts, Commerce, Computer Science and Sciences) and one administrative blocks (divided into various parts like Principal office, clerical office, staff room, reception room, store room and waiting room). College has 24 classrooms, 3 halls and 4 faculty rooms. College has following other facilities. Library – The college library, the heart and hallmark of the institution, is knowledge based pool of print material catering to the needs of the students and esteemed faculty. About 3000 books related to different fields are available in the library. Nearly 200 journals are also available. Hostel – The institute has well-furnished hostel for girls. It has 48 rooms and central mess. 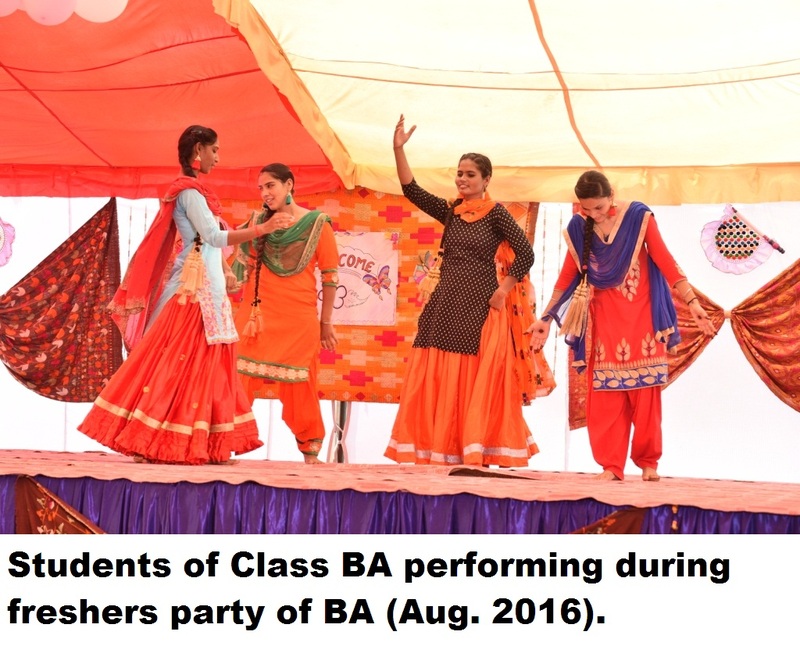 Open air theatre – To promote interest of students toward theatrical performances. The institute has its own well developed open air theatre. Canteen – There is a well-furnished canteen with a capacity to support 100 students at a time. Variety of hygienic and well prepared food is available, where students may choose different types of eatables asper their choices.